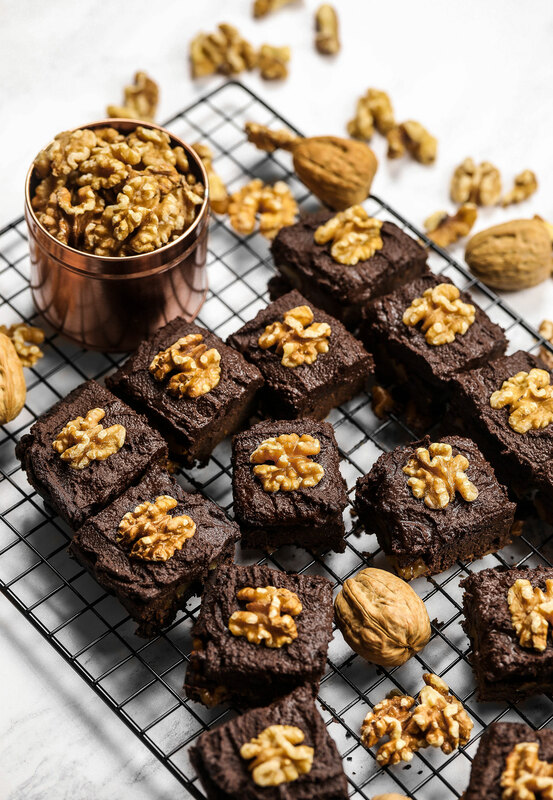 Delicious and rich California walnut & sweet potato brownies made using amazing ingredients like walnuts, oats and sweet potato. 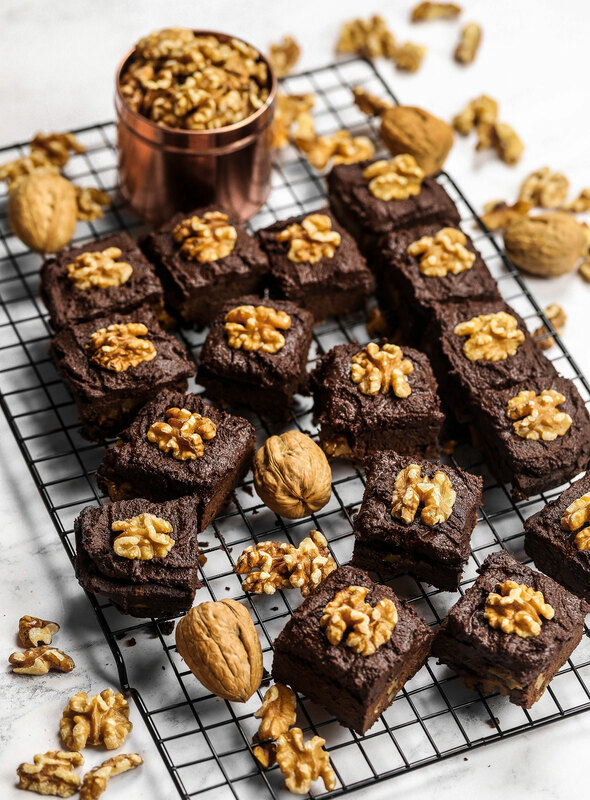 A healthified take on the classic and much loved brownies. 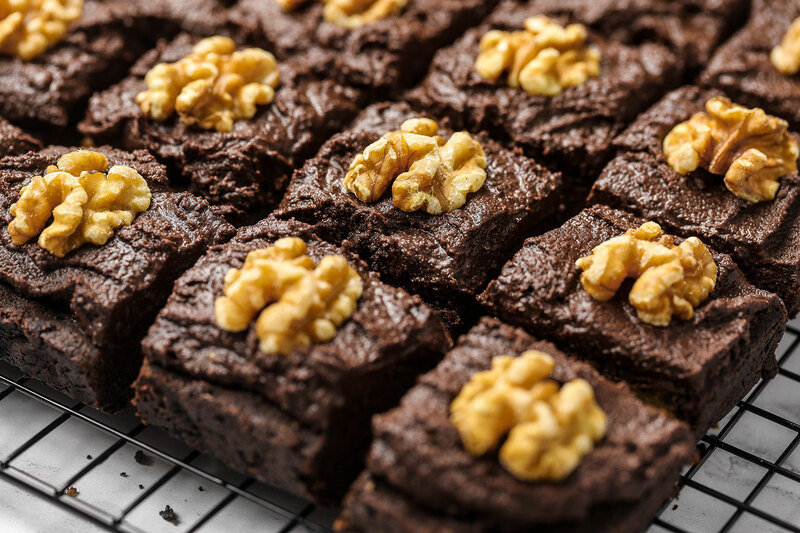 I have yet to come across a person who doesn’t love brownies. 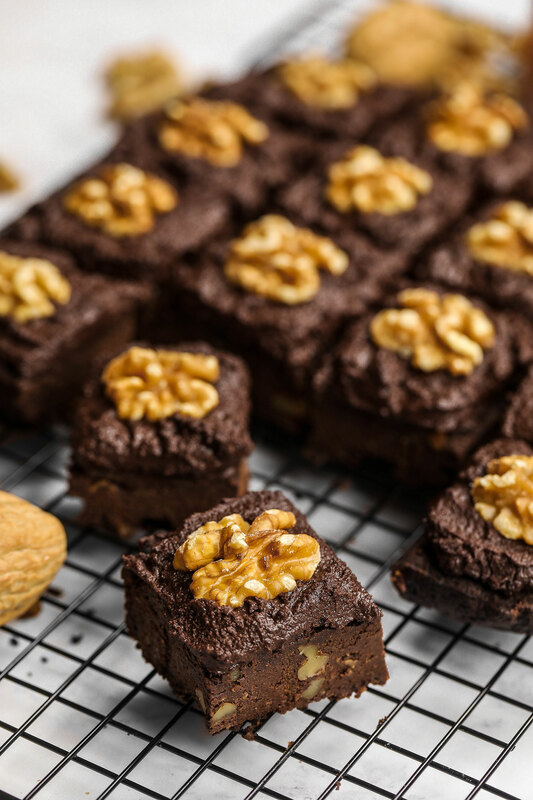 Even people who don’t seem to be keen on chocolate still love to indulge in a rich dense brownie every now and then. 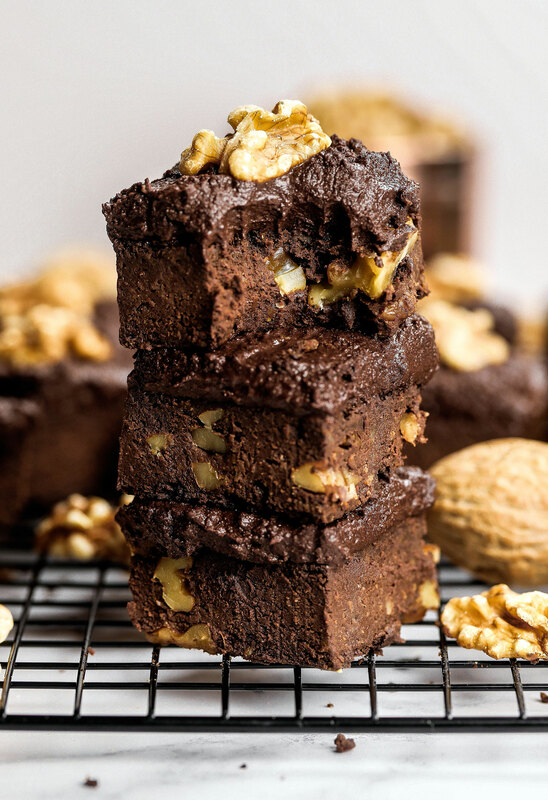 I could be wrong, but something I do know is that for me, brownies are the ultimate sweet treat. 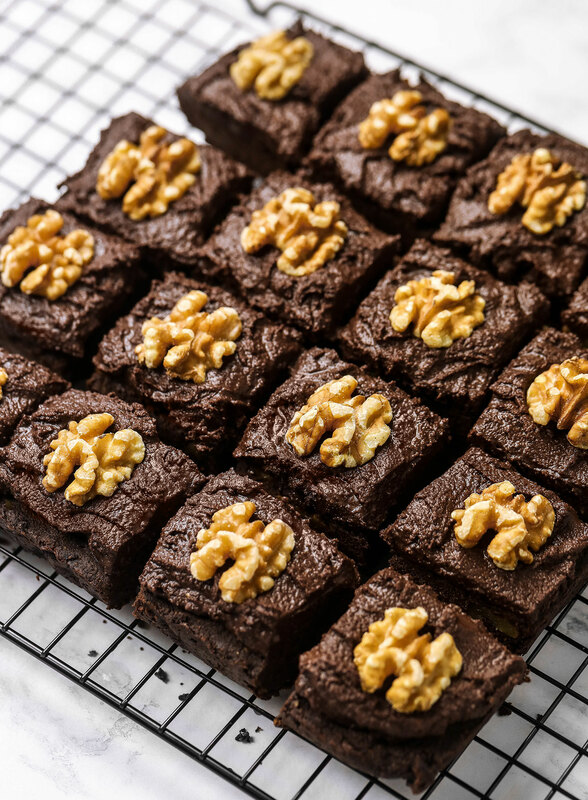 Brownies can however feel really heavy and can cause digestive issues with IBS sufferers like myself. 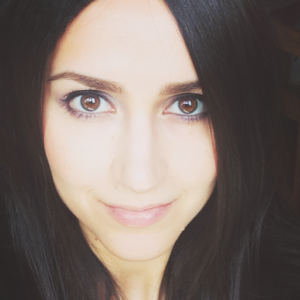 I try to avoid dairy and gluten on a day to day basis and also try to minimise my processed sugar consumption. However, I do still want to enjoy brownies! 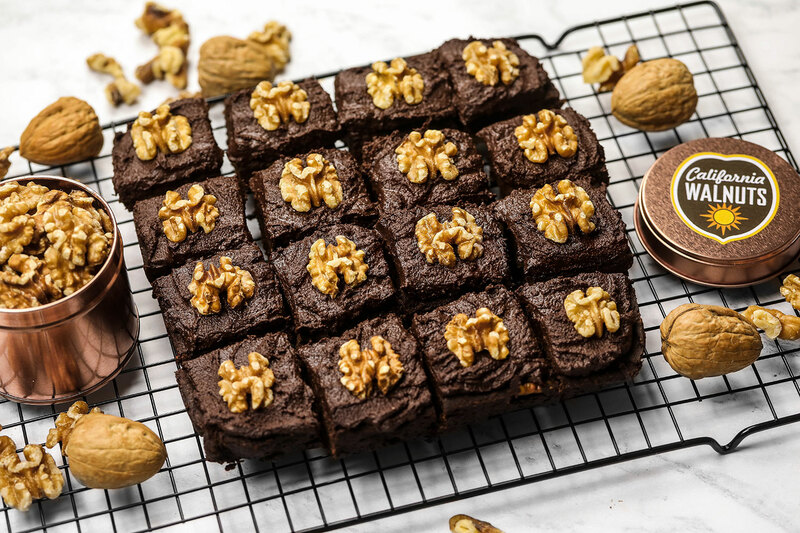 Life would be so much more boring without a brownie! I was so sad to see this year’s Great British Bake Off come to and end. It was such an exciting year with so many great contestants and the most drool worthy baked creations. For me it was one hour in the week where I could forget about real life issues and just enjoy (and be inspired by) those delicious creations. Each episode left me feeling uplifted with new and fresh ideas in my mind. 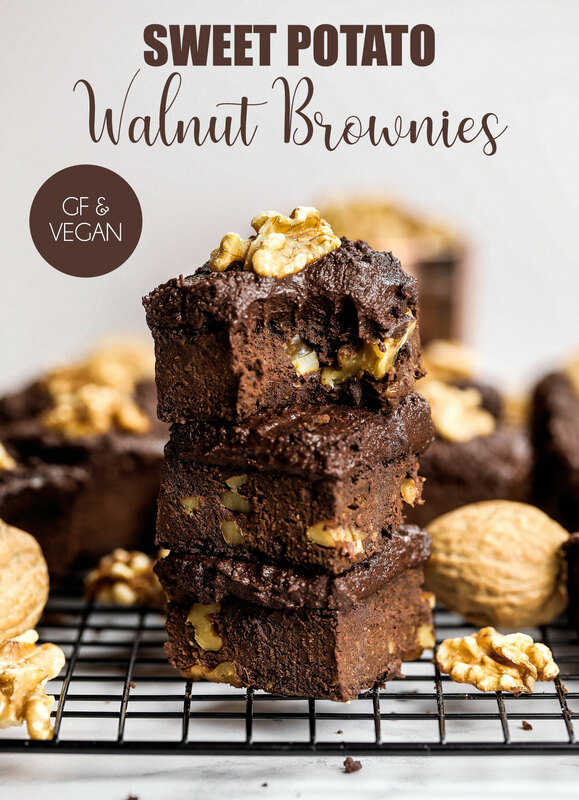 I’m collaborating with California Walnuts again to demonstrate how versatile walnuts can be and how they can be used in fun, easy and healthy plant-based recipes, both sweet and savoury. 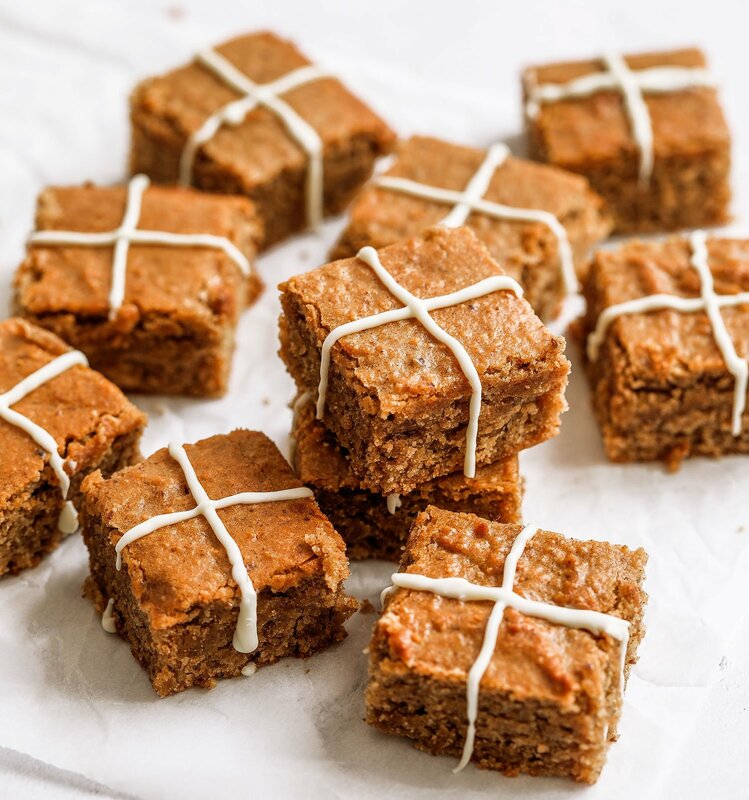 I started off by making a quick walnut soda bread, followed by a delicious high protein walnut tofu and tomato quiche, so this week I’m mixing it up a bit and throwing a sweet recipe in the mix. 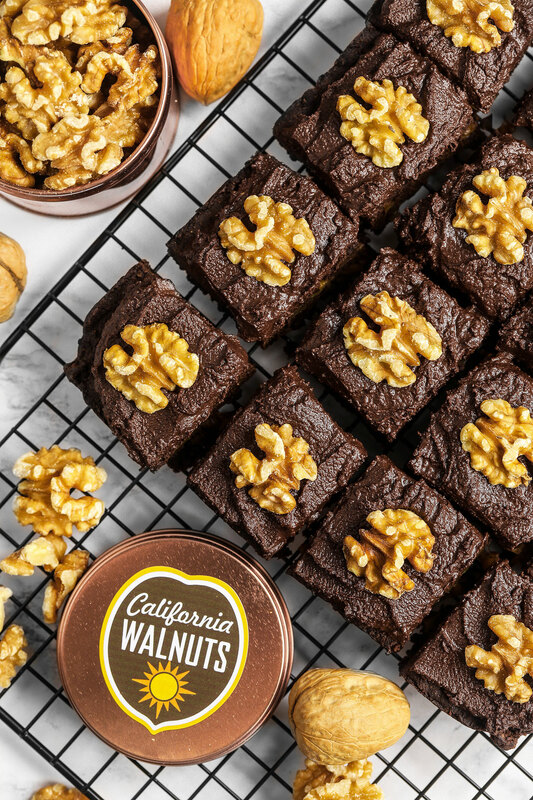 California walnuts are bursting with wholesome plant-based goodness and are naturally nutritious. 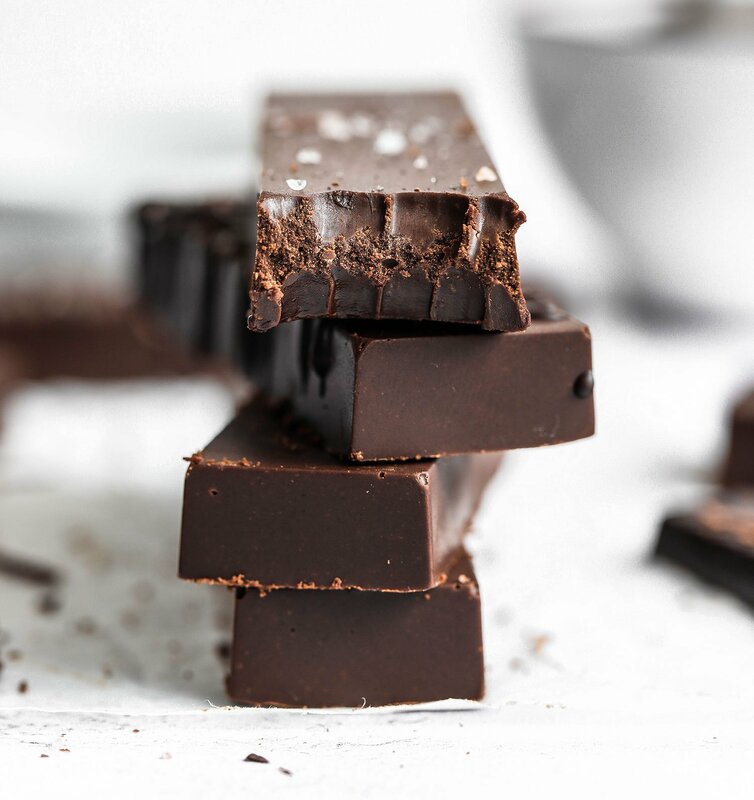 I always insure I include them in my daily diet, not only because they’re my favourite plant source of omega-3 essential fatty acids, but also because they have the most delicious smooth, light and creamy flavour. 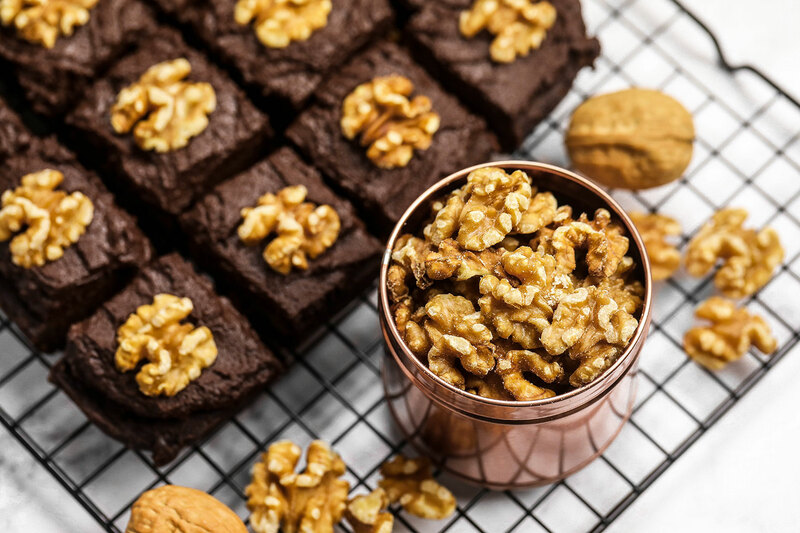 I also think walnuts are the best nuts to use in baking because they go well with so many different flavours. 50g gluten-free oat flour – gluten-free oats blended into a flour in the food processor. 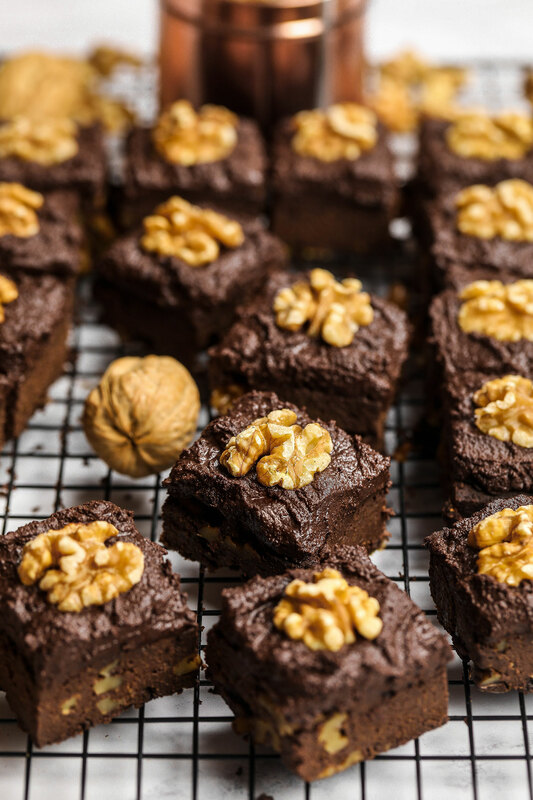 Mix together the oat flour, ground California walnuts, cocoa, sugar, baking powder and salt in a large bowl. 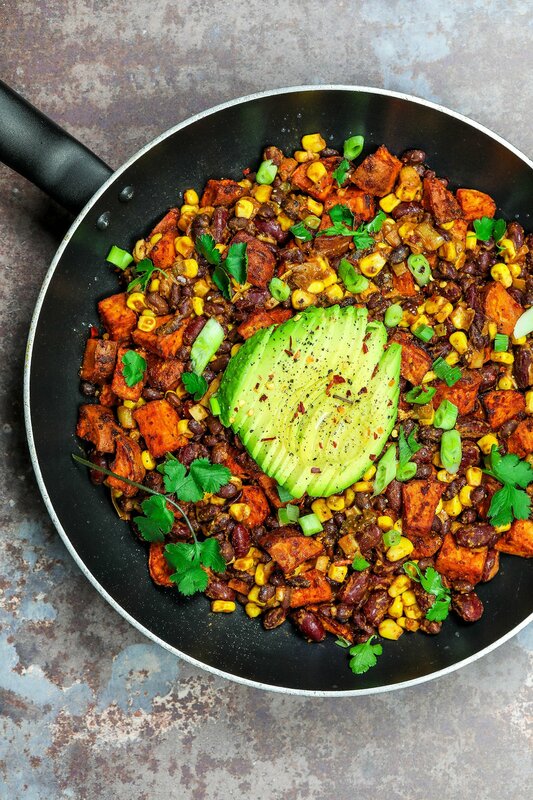 Add the milk, mashed sweet potato, dairy-free spread and melted chocolate and mix until combined, then stir through the chopped California walnuts to evenly distribute. 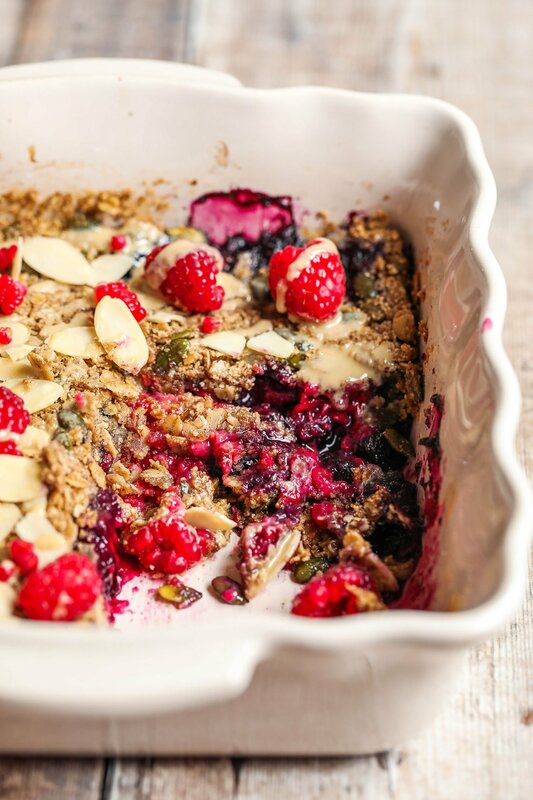 Transfer into an 8” square tin and bake for 30-35 minutes. Leave aside to cool completely. 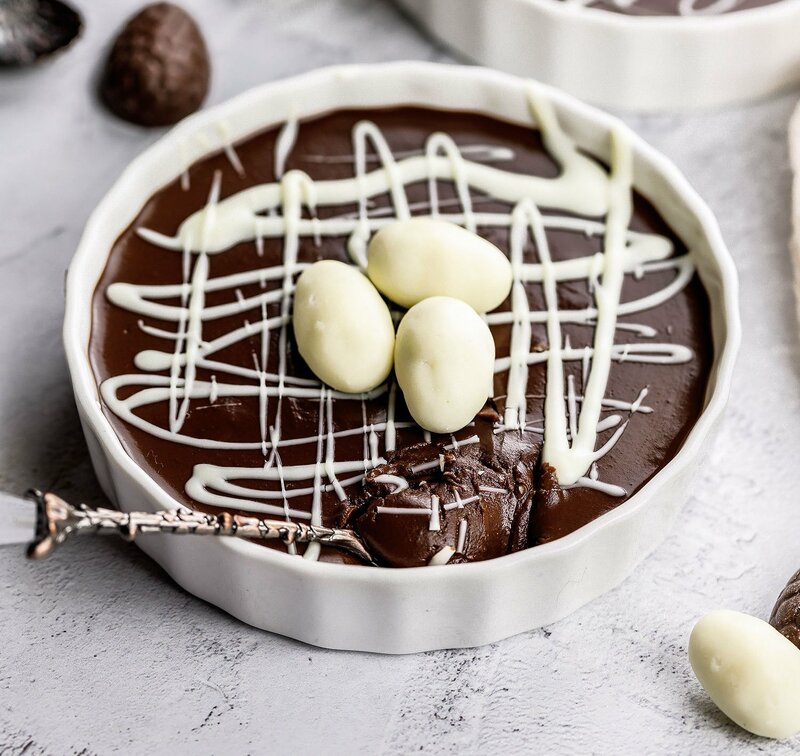 To make the ganache, break up the chocolate in a heat-proof bowl along with the dairy-free spread. Melt in the microwave, then fold in the milk and maple syrup. 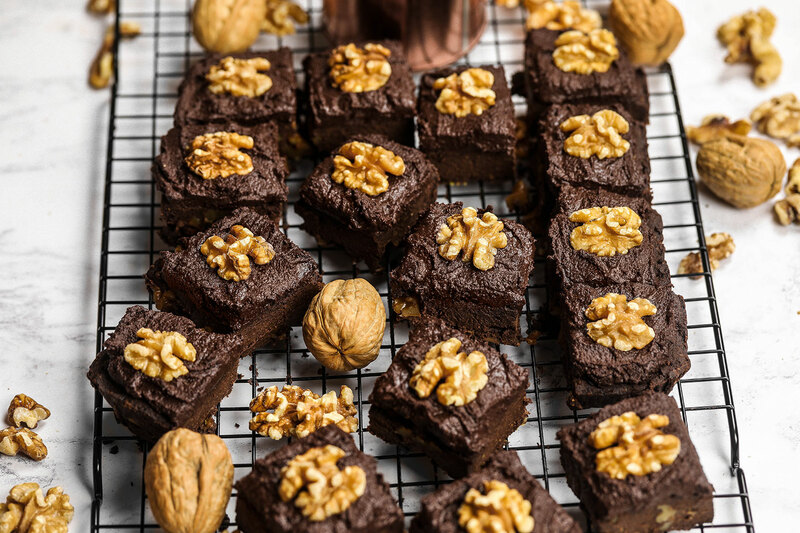 Spread over the cooled brownie, slice into 16 even squares and decorate each with a California walnut half to serve. Question: do you have any recs about subbing for the sugar? My ideas were a banana, more sweet potato, honey? Some combo? May I ask how you made sweet potato puree? Thanks a lot!